Now a days people are very much concerned with mobile security. As mobile platform is growing bigger. Everyday there is more threat of viruses and malware. Everyone needs to get prepared in order to protect their smart phone from getting infected. While some mobile experts are of the view that malwares are not that harmful from phones but still it is good idea to protect your device from any kind of malware or virus. Play store is loaded with tons of anti virus apps with exceptional features. But people find it difficult to select the best one among them. In this article we will tell you about 3 best antivirus apps for android to make your phone’s security better. Have a look on them. On the Top it is AVG antivirus security free because most probably everyone has heard about it. AVG has over 100 million users and millions of download and excellent reviews. 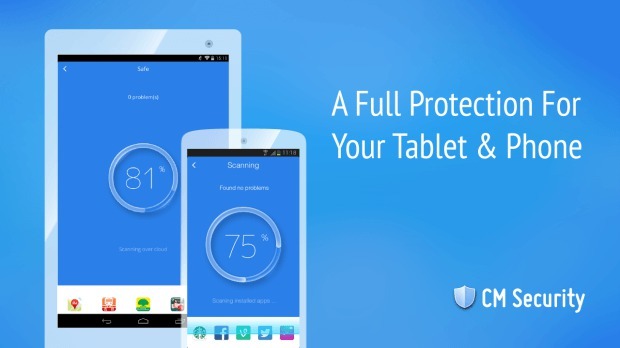 No doubt it is one of the best antivirus apps for android. AVG has all the basics like anti phishing, antivirus and anti malware scan. Moreover it also has features like find my phone and anti theft options both on free and paid versions, you can lock or swipe your device. Last it also has built-in battery, data and storage monitor for general device usage. AVG is available on play store and can be downloaded easily. Download it now to enjoy it’s amazing features and make your phone more secure. Next on the list is CM security and it works best for androids phones and tablets. It has all the features one antivirus should have. CM offers best antivirus and best malware scanning as well as secure browser built in. CM security is loaded with tons of features. At the same time it is very easy to use. It is trusted and is downloaded by millions of people across the world. The Find my phone also works greatly and accurately. It has anti theft option and starts producing noise if it is get stolen. Moreover, it uses front camera to capture the picture of thief. Almost it has all the features in its free version but you have to pay for extra features. CM is a newer app but has very amazing features. Download its free version now and give it a try to protect your phone from malware and viruses. 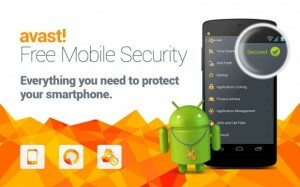 If you need the best antivirus for your for Android phone as well as PC , I will suggest you to use Avast. Avast Antivirus is one of the best antivirus apps across the world and is used by over 100 million of people. It should be on the top of list but we have to follow proper order here. Avast offers features like antivirus, anti phishing, malware scanner and anti malware. You can also get a virus scanner, virus remover, protector, network meter, app manager and app lock on rooted cell phone. 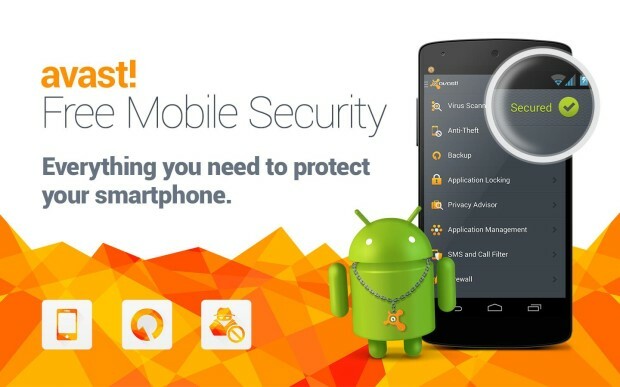 Avast Antivirus is available on play store and can be downloaded for free. Download it now to make your phone more secure. These were 3 best antivirus apps for android? Do you know any other antivirus app that you think should be listed here? Please let us know in the comments.